How old do you think this might be? Post subject: How old do you think this might be? All input welcome. C'mon! Waddya fink? The wheels are Open Pro on 8spd Veloce hubs. Brand new but a dozen years old or so. This gear has been in my mate's loft for yonks. Not sure who built the wheels but it could have been Woodrup in Leeds. I can remember buying an 8-speed Campa gruppo with single pivot brakes in the mid 90-ies. The cheapo Avanti version. I used parts of it during Bordeaux-Paris '96 and LEL '97, when the ergopower lever gave in. I know pretty much all I need to about the group. It's the frame that I don't know anything about. 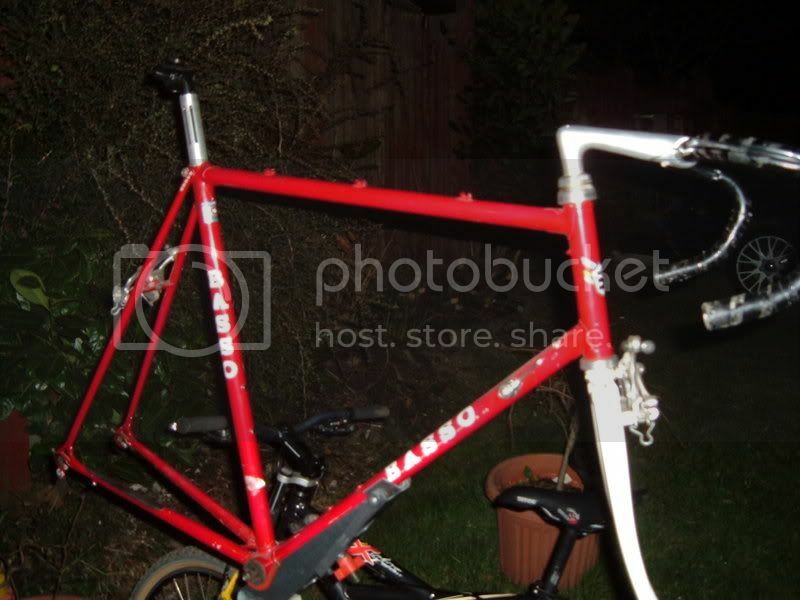 It's lug brazed so it's pre 90s, Columbus tubing with Stronglight headset and Cinelli stem (XA?). The Stronglight headset looks quite the same as the Stronglight headsets I bought in either '94 or '95 (in black) and in '97 (in silver). AFAIK colombus frames brazed in lugs were produced at least untill the end of the 90-ies. Just had a google and found this. Which appears to bear you out, Ivo. Top work. Well spotted. So. Who's got a white saddle, then? 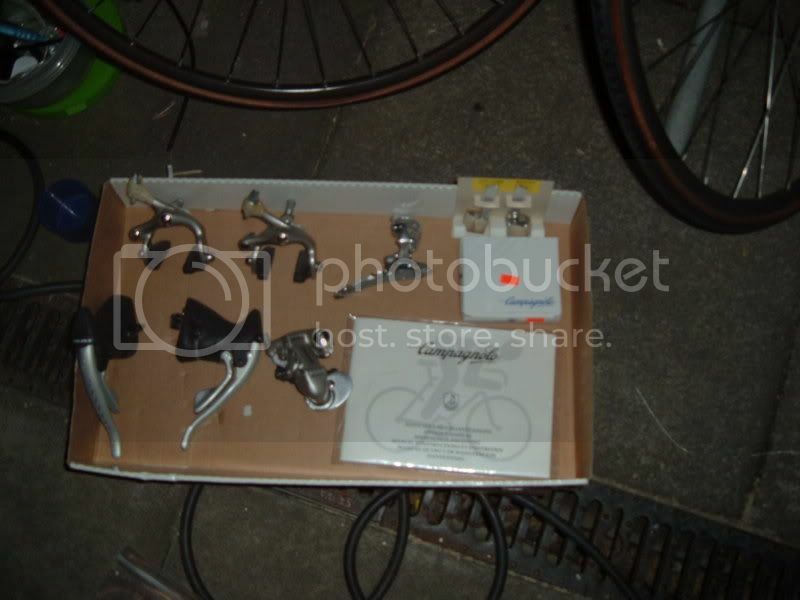 Which Modolo brakes are mounted on the frame? Thay are actually branded 'Mavic' if that helps. 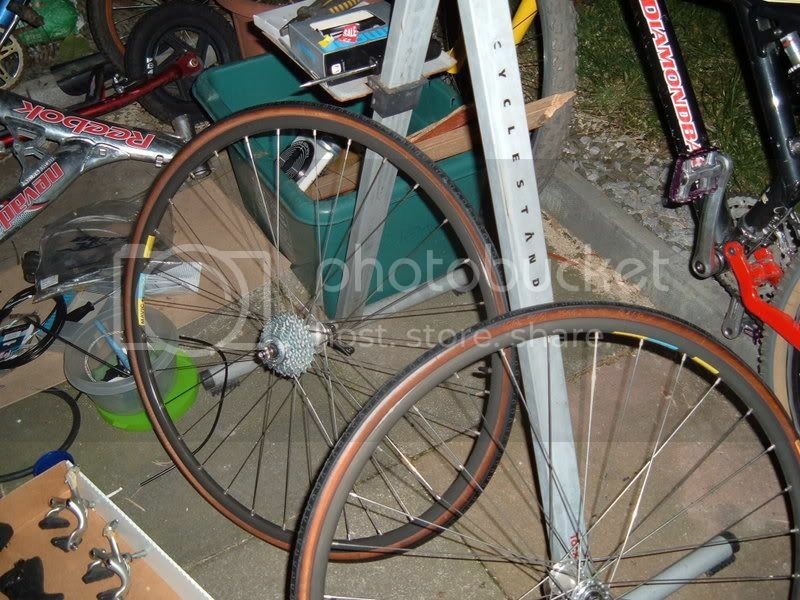 but going for some dual pivots which might have a chance of actually stopping the bike.